We try to install the software or drivers in our computer from the third party sources. Sometime, installing software or drivers from these sources might result in malfunctioning of the operating system. Also, unexpectedly the operating system could not function normally on your computer. If the problem is not from the software or any drivers, the problem does not show up in ‘Safe Mode’. To get rid of these problems, sometimes, we need to open our windows in ‘Safe Mode’. So, in this article, we are listing some ways on how to start windows 10 in safe mode. Opening ‘Safe mode’ in windows 10 is not as easy as an opening in other windows. 2. 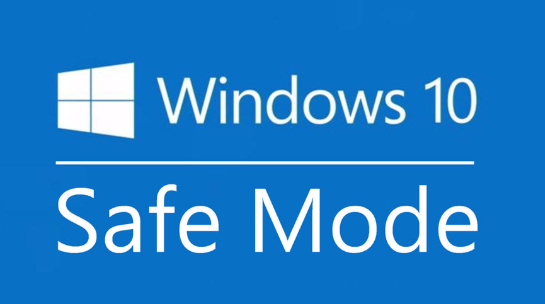 Safe Mode with Networking: Same as basic Safe Mode, but starting windows in this mode has features of accessing Network and the Internet. Follow these simple steps to open Windows in Safe Mode. Step3: Click Restart now place under the Advanced Startup. Step 4: Select Troubleshoot > Advanced Options > Startup settings. Step 5: After you PC restart, press F4 or select option 4 to start your windows in basic safe mode and press F5 or selection option 5 to open your windows in Safe Mode with Networking. Step 1: Click Power bottom placed at the bottom right corner of your screen. Along with the shift key select Restart. Step 2: Select Troubleshoot > Advanced Options > Startup settings. Step 3: After your PC restart, press F4 or select option 4 to start your windows in basic safe mode and press F5 or select option 5 to open your windows in Safe Mode with Networking. What if your device is encrypted and you tries to open windows in Safe Mode. That’s not possible you need BitLocker key to start windows in safe mode. Step 1: Press the Windows Power button for 10 seconds to turn off your device and again press the power button to turn on your device. Step 2: Repeat step 1 again. Step 3: Again Repeat Step 1. Step 4: Now allow your device to fully restart and enter winRE. Step 5: After your PC restart, press F4 or select option 4 to start your windows in basic safe mode and press F5 or select option 5 to open your windows in Safe Mode with Networking. Step 1: Search System Configuration and open it. Step 2: go to the boot menu > safe boot > OK. Step 3: Select Exit Without Restart. After following any of these mentioned steps, you know How to start Windows 10 in Safe Mode. The Complete Youtube SEO Course For Free. What is Data Communication And Data Communication Model? 4 Amazing Australian inventions that changed the world.